President Trump today pushed back against media reports that he had altered the timeline for removing U.S. troops from Syria, denying his administration had issued a series of contradictory statements about plans for ending America’s role in the war, as the Washington Post’s Missy Ryan reports. Meanwhile, National Security Adviser John Bolton arrived in Tukey today to make an effort to persuade Ankara not to attack American-backed Kurdish forces in Syria, as the FT report. Dive Deeper: “Iraq, Iran, the Gulf, Turkey, and the Future: The Meaningless Debate over the Trump Strategy in Syria,” by CSIS’s Anthony Cordesman. “Learning from Trump’s Syria debacle—What Congress can do,” by Brookings’s John Allen and Michael O’Hanlon. The U.S. and China opened negotiations today in Beijing to resolve their trade fight, as the WSJ’s Lingling Wei reports. Dive Deeper: “China Can No Longer Afford an Indecisive Approach to Economic Reform,” by Chatham House’s Yu Jie. The European Union is considering ways to help Prime Minister Theresa May convince the British parliament to back the Brexit treaty she agreed with EU leaders last month but ruled out any change to the deal today, as Reuters reports. Banks and other financial companies have shifted at least £800 billion ($1 trillion) worth of assets out of the United Kingdom and into the European Union because of Brexit. “We're pulling out of Syria but we're doing it, and we won't be finally pulled out until ISIS is gone." CSIS's Beyond Parallel released Making Solid Tracks: North Korea's Railway Connections with China and Russia, the second in a series of original reports on the inter-Korean and Korea-Eurasian railway connections. Should inter-Korean cooperation result in the re-connection of the railways in North and South Korea, the rail networks of the Korean peninsula can then be joined with those across the Eurasian continent through China and Russia. 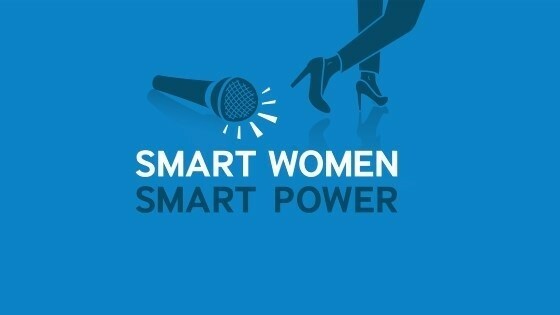 (Photo Credit: Kobi Gideon/GPO via Getty Images). 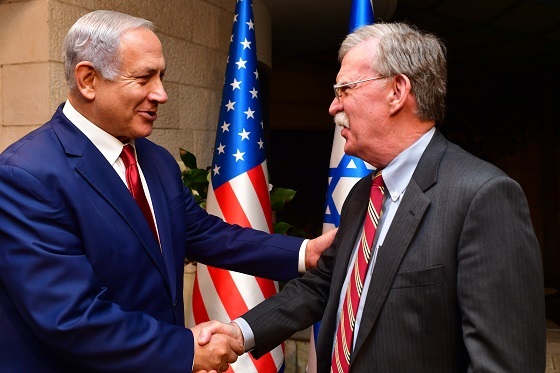 Israeli Prime Minister Benjamin Netanyahu with White House National Security Adviser John Bolton yesterday in Jerusalem. “The Big Read: U.S.-China: farmers count the cost of the trade war,” by the FT’s Gregory Meyer. At 9:30 a.m., Brookings Institution will hold a panel discussion and release its report on how various governments have incorporated the religion of Islam into their foreign policy. And at 12:00 p.m., the Korea Economic Institute of America will host a discussion on how the new U.S. Congress might influence foreign policy toward Northeast Asia. National Security Adviser John Bolton has arrived in Ankara for talks with Turkish officials regarding the Trump administration's policy towards Syria. Max Markusen of the CSIS Transnational Threats Program explains how Syria’s Idlib Province encapsulates the complexity of the Syrian Civil War in our “What’s Happening” series. Watch the full video here. It’s a generational thing. They find the pace of “The Godfather” to be slow, and it inhibits their ability to absorb its timeless wisdom. “The Departed,” by contrast, was made in 2006 and moves with contemporary energy. Plus, Leo, Matt Damon and Mark Wahlberg are current icons—one of my kids didn’t know who Jack Nicholson was and they both don’t know who Pacino and DeNiro are, really. The Departed soundtrack features some incredible, memorable music: the Dropkick Murphy’s “I’m Shipping Up to Boston,” Allman Brothers’ “One Way Out,” Stones’ “Let it Loose,” and “Gimme Shelter,” Plastic Ono Band “Well Well Well,” and Patsy Cline’s “Sweet Dreams (Of You)” to name a few essential tunes. The Roger Waters/Van Morrison duet on “Comfortably Numb,” Badfinger’s “Baby Blue,” and Nas’ “Thief’s Theme” are also very serious tracks. “Sail on Sailor” is a fascinating tune written by some combination of Brian Wilson, Van Dyke Parks, and other collaborators. There are so many great Brian Wilson songs. “Sail on Sailor” (1973) has always been one of my favorites even though Brian didn’t sing it—his bandmate Blondie Chaplin did. Blondie is a musician you might not have heard of—he’s a musicians’ musician. Here’s Blondie, singing a rollicking version of “Sail on Sailor” with The Band’s Rick Danko and Paul Butterfield in ’79 in a gloriously raw, organic version of the song. What a smile.